Finally winter seems to be giving up its grip on our weather patterns here in the Cairngorms National Park and it may encourage us all to get out more and enjoy this special place. If you are keen to get out for a walk this spring and feel the benefits of being active but are unsure about going alone, or just don’t know where to go, then why not try one of the Park’s many weekly Health Walks? 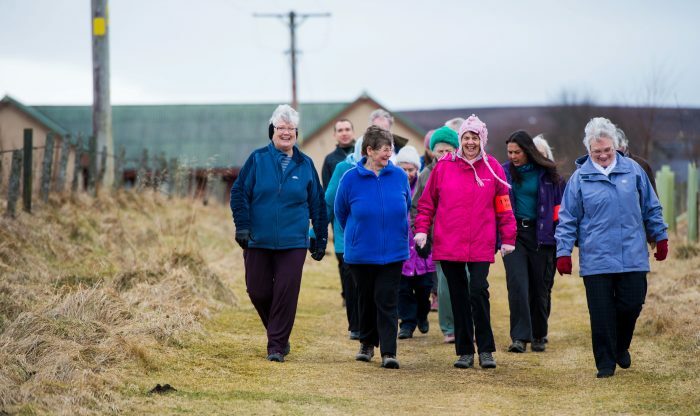 There are over 20 health walk groups in and around the Cairngorms National Park – just waiting to welcome those of us who think we would benefit from being a bit more active. Health Walks are short, safe, social, local, low level and participants are accompanied by a trained volunteer leader to show the way.